Philip George Marr was born in London on 26 September 1886. Following the outbreak of war in 1914, he volunteered for training as a pilot in the Royal Flying Corps. Graduating at Ruislip on 2 December 1915 he was awarded his Royal Aero Club Aviators Certificate 2125. Allocated to the newly formed Squadron, he went to France with this unit, serving with them through much of 1916. Returned to Home Establishment, he went on to be an instructor, and ultimately survived the war. 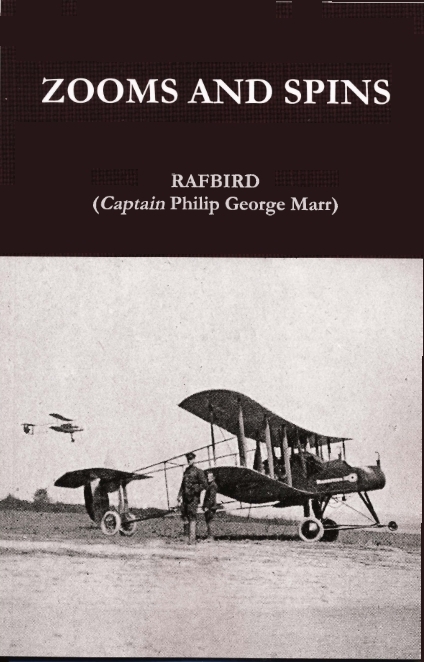 A humorous and insightful writer, at various times in 1918 he contributed a number of short vignettes and articles based on his own experiences in the Flying Corps, as well as one or two of others' experiences. These were accepted by a number of newspapers and periodicals for publication, including the Daily Mail, Punch, Sphere and Flight, among others. 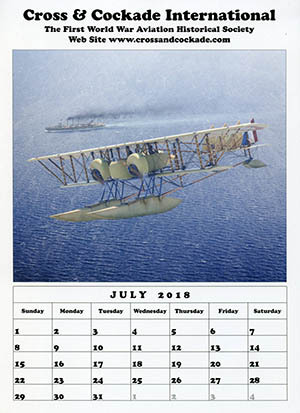 Later that year he collected all of his articles and vignettes into book format, publishing the latter in 1919 under the pseudonym RAFBIRD and titled Zooms and Spins.